Finally brought my oven to my new place just now. 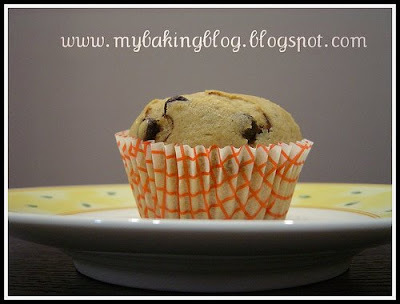 Cheated by making a muffin premix. Haha! I was amazed at how they can allow us to "simply add water" and voila, comes the muffins! I had not wanted to make from scratch, partly because I did not have more time just now. I also tried out my oven thermometer for the first time, and what a difference it makes! Now I know I had been baking blindly..guessing at the temperatures..no wonder they are always not consistent. 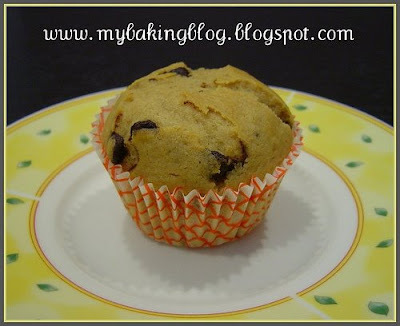 The Betty Crocker muffins turn out moist and soft. And I like these pictures. It's not always that I manage to take nice pictures. The black dining table helps a lot!